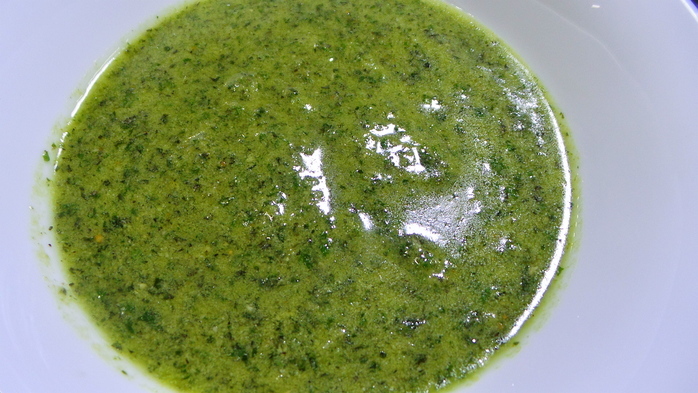 Do you want to make a pesto sauce with cheaper ingredients? Substituting peanuts instead of pine nuts and also adding cilantro will lower the cost of ingredients. Put all the ingredients in a blender. Serve and use it as a sauce for pasta.